#CHIPS: "IDT says new chips cut touchscreen's cost"
Prototype touchscreen using IDT's proprietary PureTouch single-layer multi-touch capacitive technology. 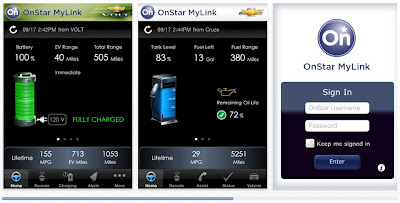 #WIRELESS: "Smartphone Apps Mobilizing Vehicle Telematics"
OnStar's MyLink app allows smartphone users to access on-board systems, here showing the charge of a Chevy Volt and the gasoline left in a Chevy Cruze. 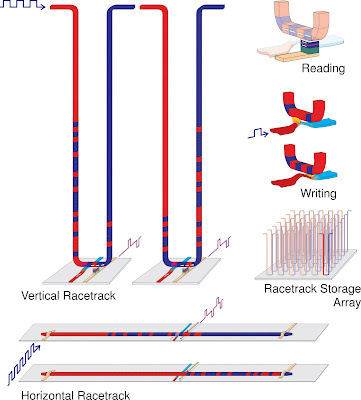 #NANOTECH: "Boosting piezoelectrics and thermoelectrics"
Piezoelectric nanowires undergo coupled electromechanical testing with a MEMS device. 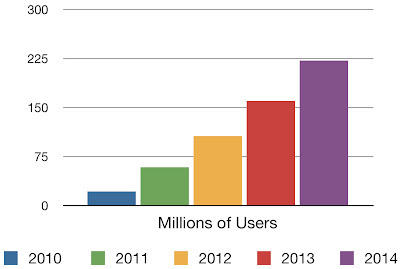 #MARKETS: "Google's 3 Pillars of Growth and Dual Achilles Heels"
Google share of the burgeoning global search market continues to grow and grow. 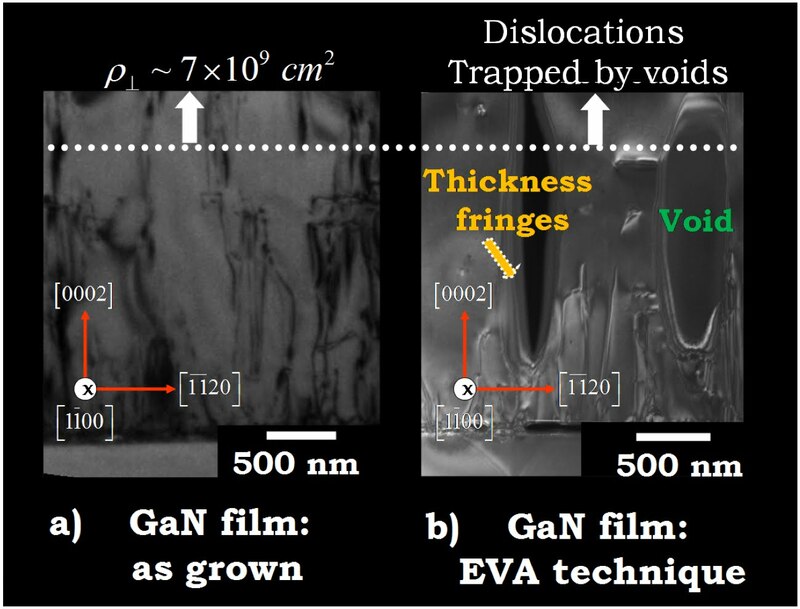 #MARKETS: "Deposition process makes brighter LEDs"
A new process for gallium nitride (GaN) films removes efficiency robbing defects--dark streaks (a)--by trapping them in voids--elipsoids (b). #MATERIALS: "Nanotape could make solder pads obsolete"
Side-view SEM of an aligned carbon nanotube film fabricated on a MEMS resonator for measuring thermal and mechanical properties. 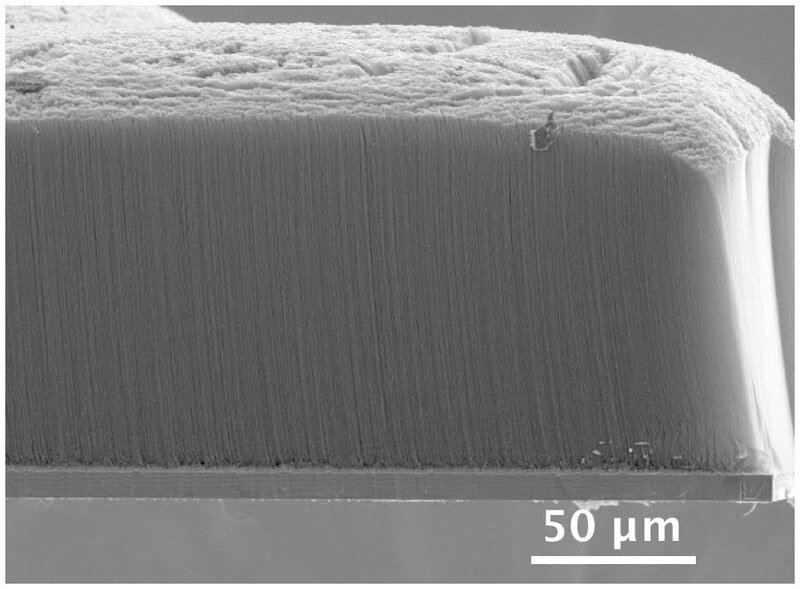 Mettalic adhesion layers on each side of the central core wet the carbon nanotube forest. Solder pads could soon be made obsolete by a new nanotape material created by the Semiconductor Research Corporation (SRC) and Stanford University. 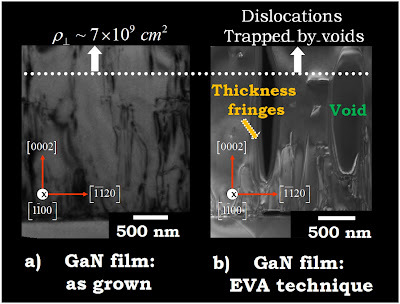 By sandwiching thermally conductive carbon nanotubes between thin metal foils, nanotape transfers heat away from chips better than solder but with a lightweight flexible material that is cheaper and and more compliant, according to researchers. #ALGORITHMS: "Android Leapfrogs iPhone on Gesture UI"
2-D gestures pioneered at Apple for its trackpad are being one-upped by Google's Android which has built 3-D gestures into its Android OS. #CHIPS: "'Universal' memory aims to replace flash/DRAM"
Researchers have developed a single “unified” device that can perform both volatile and nonvolatile memory operation, with applications that could affect computer start times and energy efficiency for internet servers. 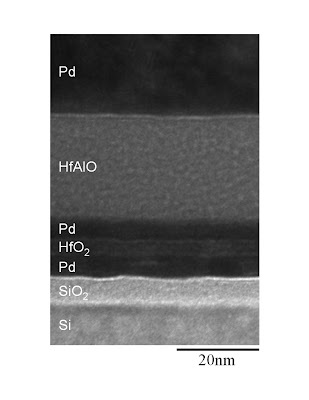 Transmission electron micrograph (TEM) cross-section of the dual floating gate FET from NCSU. 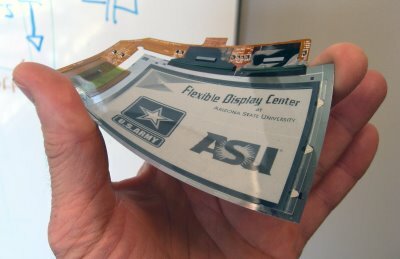 #WIRELESS: "Mobility Driving Enterprise VoIP to $6 Billion"
#DISPLAYS: "3 Reasons Flexible Electronics Enable Smarter Displays"
Arizona State University's Flexible Display Center shows its active-matrix electrophoretic display based on E-Ink flexible touchscreen. 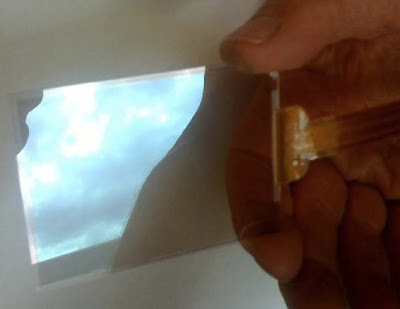 Instead of using stiff glass for support, it uses a flexible DuPont Teijin Film. For a decade or more, flexible electronics has been just over the horizon, beaconing from a future where all mobile computerized equipment could be rolled up like a bedroll for transportation. Despite these unfulfilled expectations, here are three ways that smarter displays are realizing the unfulfilled dreams of flexible electronics. Flash Gordon popularized the idea of flying cars more than 50 years ago, but still they are not here. 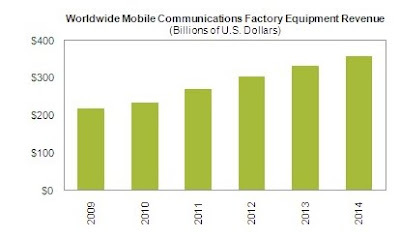 Likewise, the era of mobile computers that you can roll up like a scroll could still be a dream 50 years hence. 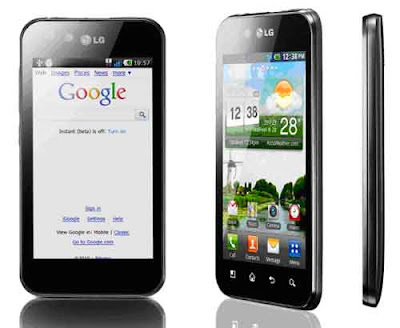 Nevertheless, the technologies that caused all the speculation about flexible electronics are already revolutionizing the multi-billion-dollar display industry. Theoretically, flexible displays could be rolled up like a blueprint or pulled down like a window blind. The reality, however, is that flexible, printable, organic electronics are finding their best uses in cost-reducing three aspects of the manufacturing of electronic displays (albeit without making the entire display flexible). #ALGORITHMS: "3-D gesture control breaks out of the game box"
3-D gestures are going mainstream in 2011, inspired partly by a 2009 Massachusetts Institute of Technology demonstration of how a layer of photodiodes to the backside of a liquid-crystal display lets the LCD recognize hand gestures made in front of the screen. Here is what my EETimes story says about gesture recognition: This could be the year 3-D gesture recognition proves it’s not just child’s play. Several years after its first consumer market appearance in the wireless gaming interface for Nintendo’s Wii, MEMS sensor-based gesture recognition is extending its reach to smartphones and is set to take hold of that most iconic of consumer interfaces: the TV remote. 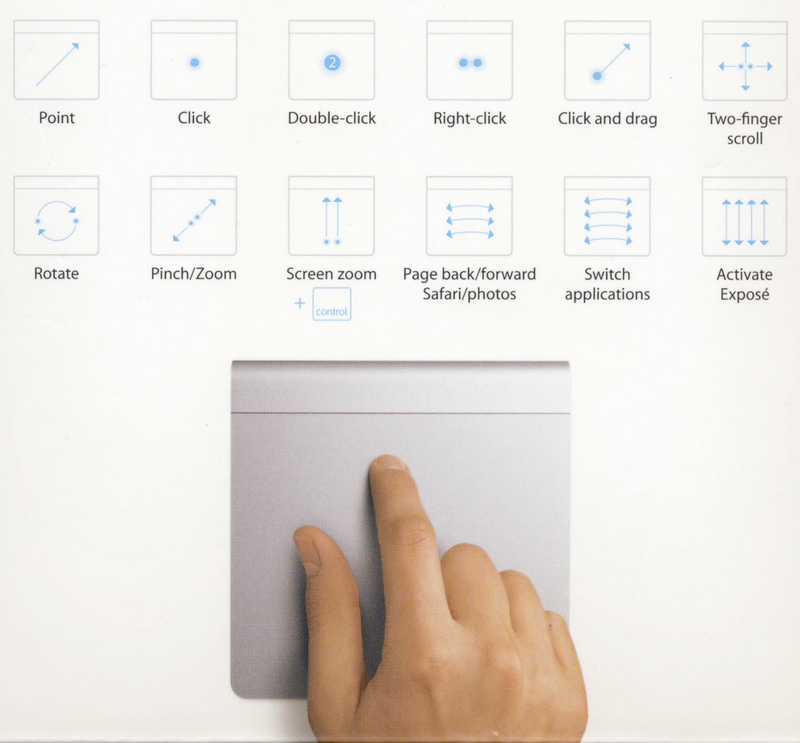 Since the Wii’s 2006 release, Nintendo’s competitors have spun their own versions of 3-D gesture recognition and processing. Sony tuned the Move Playstation controller for hard-core gamers seeking pinpoint accuracy; Microsoft took the gaming interface hands-free with the Xbox Kinect. 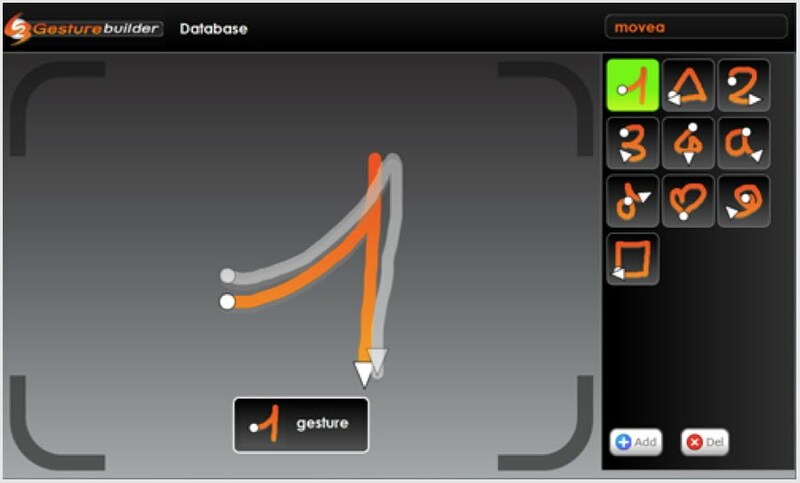 Movea's Gesture Builder allows original equipment manufacturers (OEMs) to design their own gestures an includes a run-time library for devices that allow users to define their own gestures. 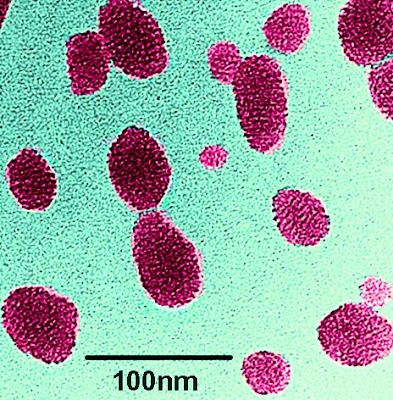 #OPTICAL: "Brightest nanoparticles shun quantum"
Transmission electron microscopy (TEM) image of an ultrabright fluorescent mesoporous silica nanoparticle (image colored artificially to match the actual color of the dye in the particles). #MEMS: "Microphones integrate interchip sound"
Analog Devices' 441 iMEMS digital microphone has a tiny silicon diaphram contained on a separate die measuring just one square millimeter. 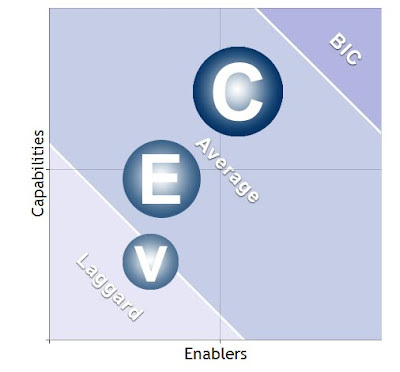 #ENERGY: "Green IT Calculator Assesses ROI"
A graphical chart generated by the questionnaire compares your company's green footprint with other best-in-class (BIC) companies in collaboration (C), energy conservation (E) and virtualization (V), with the size and shading of bubbles representing organizational capabilities and overall score, respectively. Here is what my Ziff-Davis Smarter Technology story says about IT going green: The Aberdeen Green IT Assessment Calculator is a complimentary Web-based survey and ROI tool based on the Green IT and Sustainability practice at the Aberdeen Group (a Boston-based Harte-Hanks Company). Equally applicable to small, medium and large companies, the Green IT Assessment Calculator asks a series of questions that positions your company among your best-in-class (BIC) rivals regarding environmental strategies, capabilities and technologies in three key areas: energy efficiency, collaboration and virtualization. #CHIPS: "Solid-state quantum memory unveiled"
Here is what my UBM's EETimes story says about quantum memories: Broadband quantum networks inched closer to reality recently when researchers demonstrated the ability to transfer quantum-bits (qubits) from entangled photons to solid-state crystalline memory devices. Using a super-cooled crystal the researchers were able to demonstrate the reversible transfer of entangled qubits from a quantum network waveguide to the solid-state memory and back again. 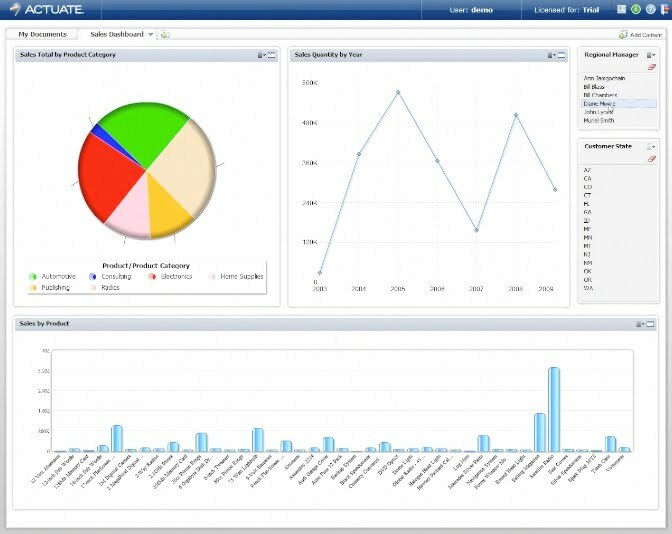 #ALGORITHMS: "ActuateOne Takes Open-Source BI Mobile"
ActuateOne provides animated dashboards that access a single BIRT-compatible iServer for both desktop and mobile devices. Here is what my Smarter Technology story says about mobile business intelligence (BI): For the first time, AcutateOne brings open-source BI to Apple's iPad, iPhone and iPod Touch, as well as to BlackBerry smartphones. 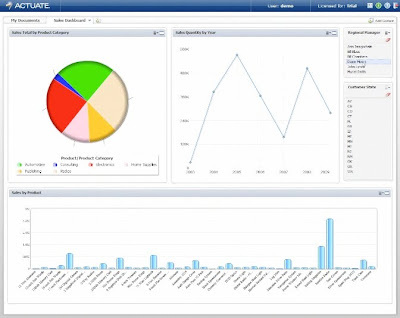 Native access with Business Intelligence and Reporting Tool (BIRT) Mobile, which is based on ActuateOne, includes access to all the advanced features of these platforms such as orientation awareness, touch navigation, e-mail and phone dialing. 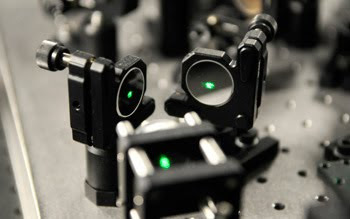 #MEMS: "Microfluidic pumps focus liquid lens"
RPI's liquid pistons precisely pump droplets of nanoparticle-infused ferrofluids, which move in and out to focus a liquid lens. 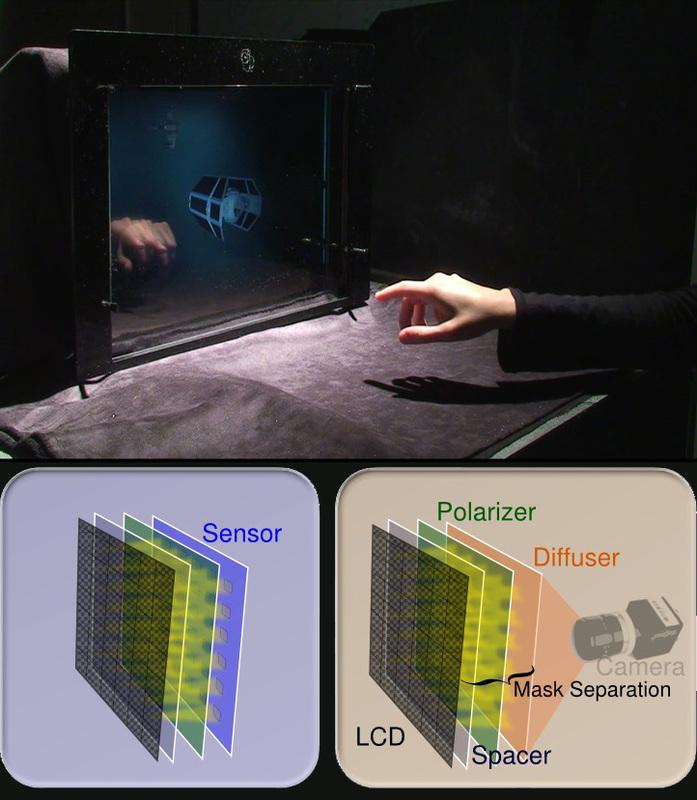 Here is what my UBM's EETimes story says about liquid lenses: Liquid lenses are already used in immersion lithography to boost resolution, but the free-air droplets must be manually adjusted for proper focus. 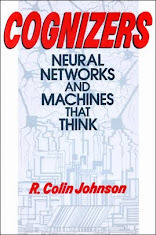 Now Rensselaer Polytechnic Institute (RPI) has shown a liquid lens with a focal length that can be electrically adjusted with tiny microfluidic pistons with no moving parts. 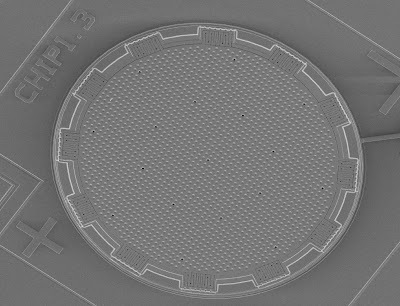 RPI claims its electromagnetic liquid lens could boost all types of precision imaging applications, from immersion lithography to implantable retinas to the ultra-low power cameras on cell phones. 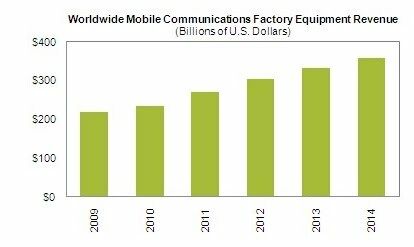 #WIRELESS: "Mobile Gear Aims for Trillion-Dollar Mark"
The mobile communications market hit $235.5 billion in 2010, but will grow to $359.3 billion by 2014, according to iSuppli. 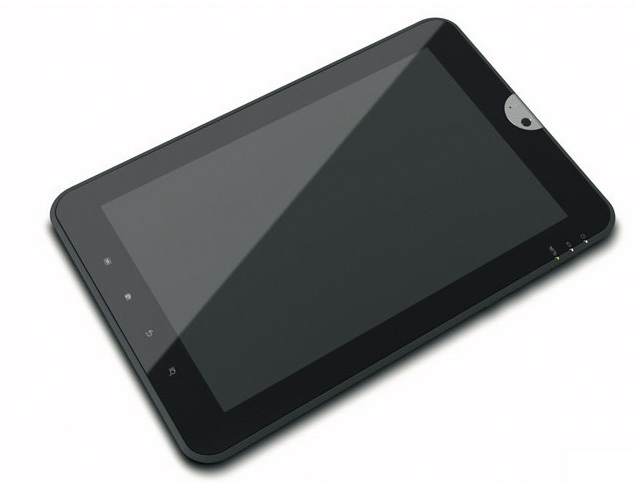 #MARKETS: "Android Touch-Screen Tablets Doomed"
Toshiba's Tablet computer not only copies the iPad form factor, but even used the same photographic style--with the slanting shadow--that distinguished Apple's product shots. 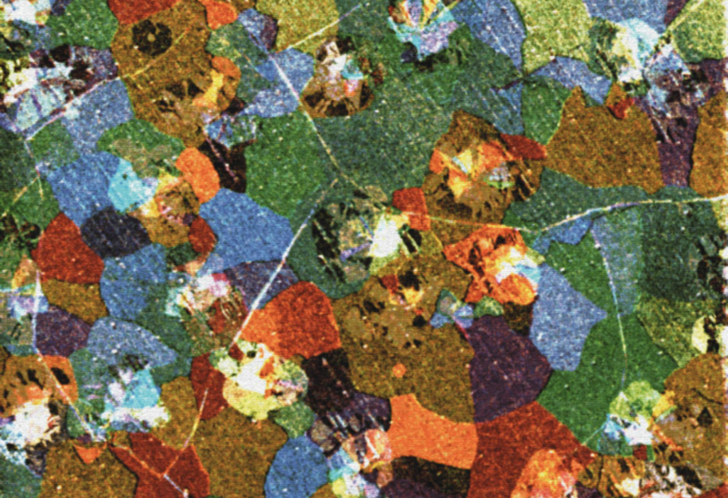 #MATERIALS: "Color imaging reveals graphene defects"
Colorizing technique shows electrical and material properties of graphene sheets. Pure sheets of graphene promise to run cooler yet faster than today's silicon chips. Unfortunately defect-free graphene sheets are extremely difficult to grow and even harder to characterize for defects...Cornell University researchers claim to have invented an imaging technique that simplifies their metrology by coloring graphene sheets to quickly identify their properties. 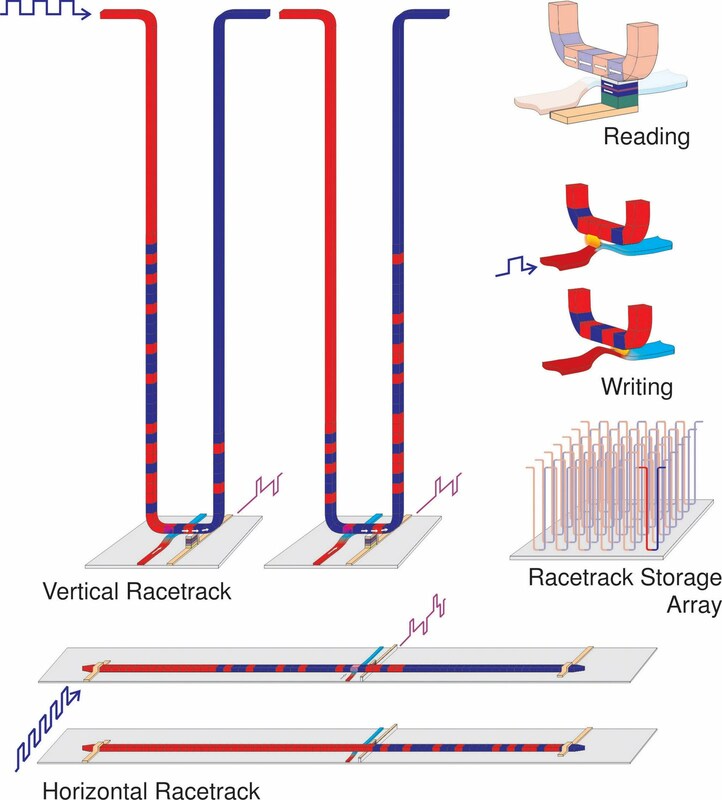 #CHIPS: "Racetrack Memory Aims to Replace Flash/HD"
IBM has demonstrated all the component parts of its racetrack memory, which moves magnetic bits along a stationary nanowire "track" that stores hundreds of times more information than even the densest hard disk. 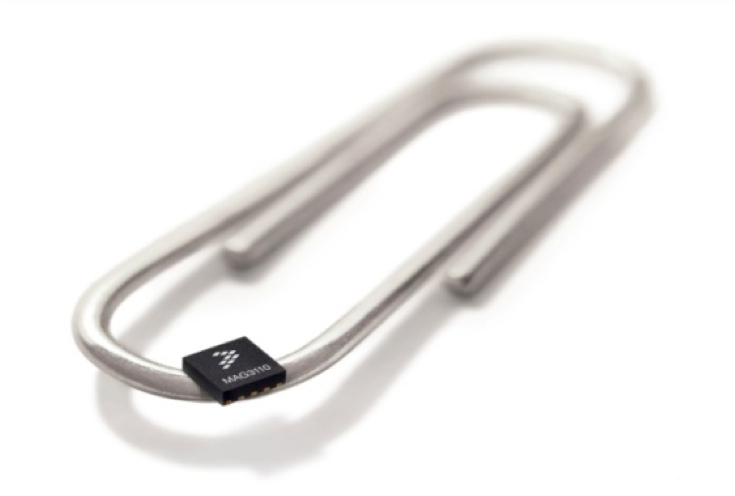 #WIRELESS: "Freescale magnetometer shrinks e-compass for mobile gear"
Freescale claims to have the world's smallest three-axis magnetometer, measuring just two millimeter square. 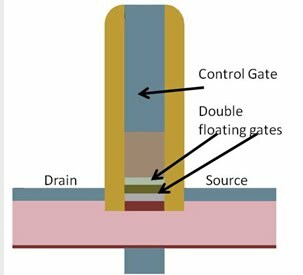 Electronic compasses can now be built with a magnetometer that Freescale Semiconductor claims is smaller and less power-hungry than competing devices. The new Xtrinsic MAG3110 is a three-axis device that can determine headings for navigation, dead-reckoning indoors and a range of emerging location-based services (LBSes) for smartphones and other mobile devices. 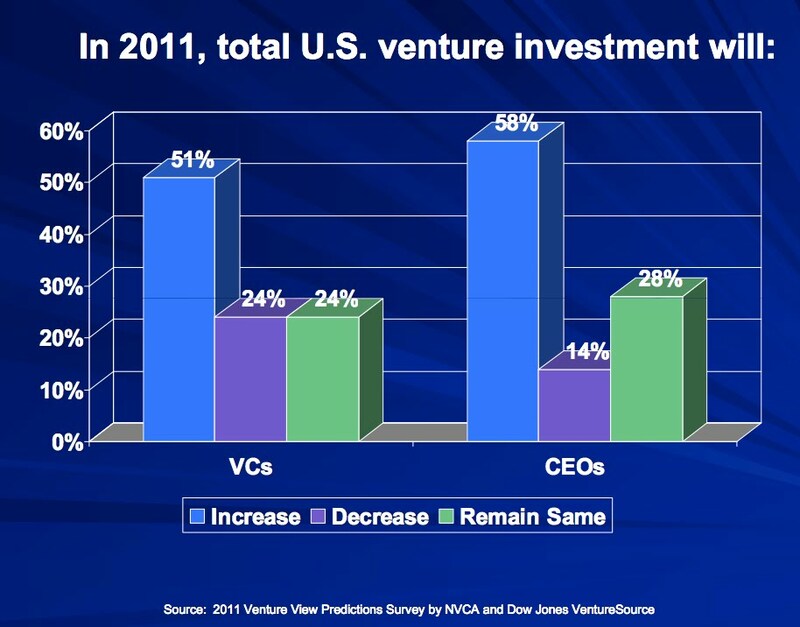 #MARKETS: "Venture Capitalists Bullish on 2011"
Total U.S. venture investments in 2011 will increase according to 51 percent of VCs and 58 percent of CEOs. #ENERGY: "Freescale slays ‘vampire’ power in consumer gear"
Freescale's Watt Saver technology found a design win in AT&T's Zero Charger for cell phones. Vampire power—the standby milliwatts that device chargers continue to draw even when the device battery is fully charged or no device is connected to the charger—wastes resources and costs consumers billions annually worldwide. 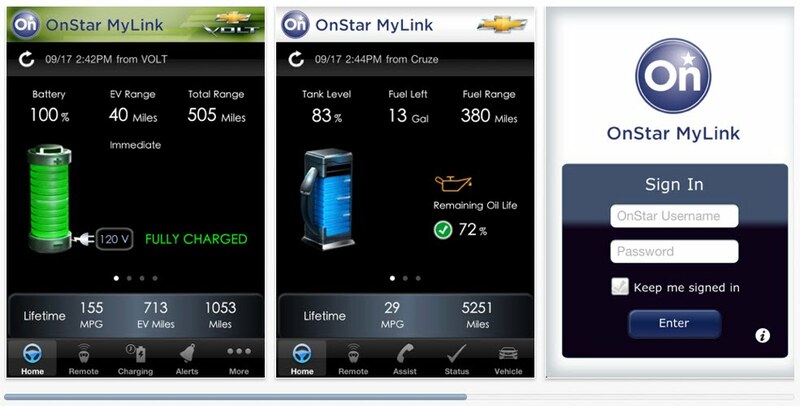 For its Watt Saver technology, Freescale combined a microcontroller with firmware to monitor power usage and a relay to cut power to the charger completely when it is not needed. 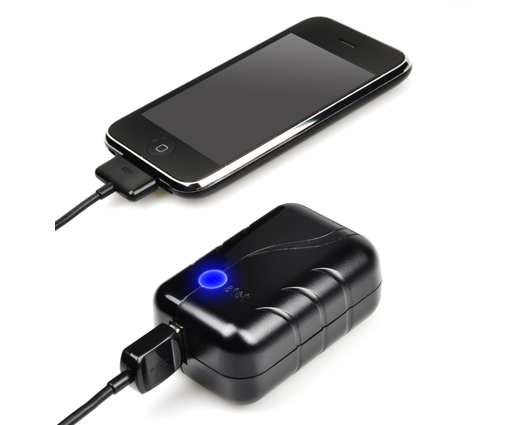 AT&T already uses the technology in its Zero Charger for cell phones; now Freescale is pitching Watt Saver to a broader market.